Accomplishment of the INLHA’s objectives for 2018 will require support from each of our members and friends! As you plan your year-end giving please consider how you can help us attain our goals. 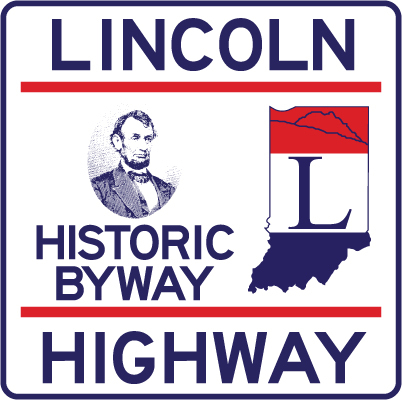 The Indiana Lincoln Highway Association is a 501(c)(3) corporation, making donations tax deductible to the extent of the law. You can make donations by sending a check to our address below, or online with PayPal by clicking the “Donate” button on our homepage. You can pay by credit card even if you don’t have a PayPal account. Thanks in advance for your ongoing support of the Indiana Lincoln Highway Association! Please review our homepage for the year-end letter from our President Debra Parcell. Please visit our Home page on this website for the year-end letter from our new President Deb Parcel. 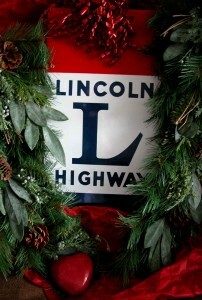 And please consider the Indiana Lincoln HIghway Association in your year-end giving. The Indiana Lincoln Highway Association is a 501(c)(3) corporation, making donations tax deductible to the extent of the law. Our homepage has a PayPal Donate button for your convenience. You can pay by credit card even if you don’t have a PayPal account. As you plan for the year-end Holidays, please take a moment to say thank you in your own way to the members and officers of the Indiana Lincoln Highway Association. We have a lot going on here in Indiana just now, as you can see from the Highlights of 2014 list on on our Home Page. And unfortunately, each of these events and projects carries a cost. If you can see fit to provide a year-end tax deductible donation of any amount to help us along on these projects so we can see the benefits over the next year, we would be so grateful. Just make your checks out to INLHA and mail them to our office at 402 W. Washington, South Bend, IN 46601 in the enclosed envelope. Or if you are a PayPal or credit card user, just use our handy PayPal Donate button on our Home Page. Bless you for being an INLHA member and/or for anything you can do to assist our efforts at preservation and tourism! Happy Holidays! The Fall Gathering of the Indiana Lincoln Highway Association is fast approaching! 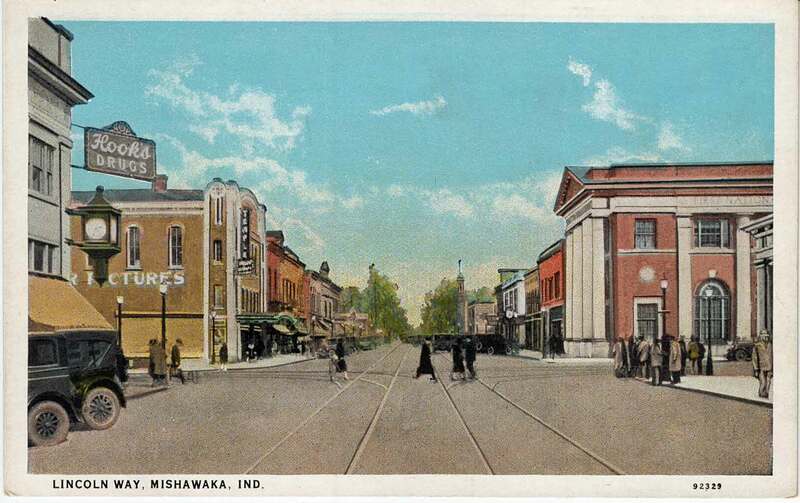 Join us for a day of exploring the Lincoln Highway and other historic sites in and around Mishawaka and eastern St. Joseph County, enjoying lunch at a restaurant in downtown Mishawaka, and hearing news and updates about INLHA projects and activities. Registration deadline is September 9. Click here for the registration form. If you have questions, contact Joyce Chambers at joycechambers47@aol.com or 574-276-0878. 574-259-5277 Mishawaka – Penn – Harris Public Library – A lifetime of learning. 1:45 pm – Return to the Library for the INLHA Fall Meeting in the Spencer Gallery (lower level – there is an elevator). Updates on the Indiana Lincoln Highway Byway Corridor Management Plan, Ostermann Monument restoration project, BlairWalk 2, Lincoln Highway BUY-WAY Yard Sale, 2015 LHA Conference in Ann Arbor/Detroit, MI hosted by the INLHA, and more. We hope to see YOU in Mishawaka! 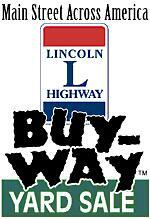 The 2014 Lincoln Highway Buy-Way Yard sale dates are August 7, 8, and 9. The event is piloted by the Ohio Lincoln Highway Historic Byway. 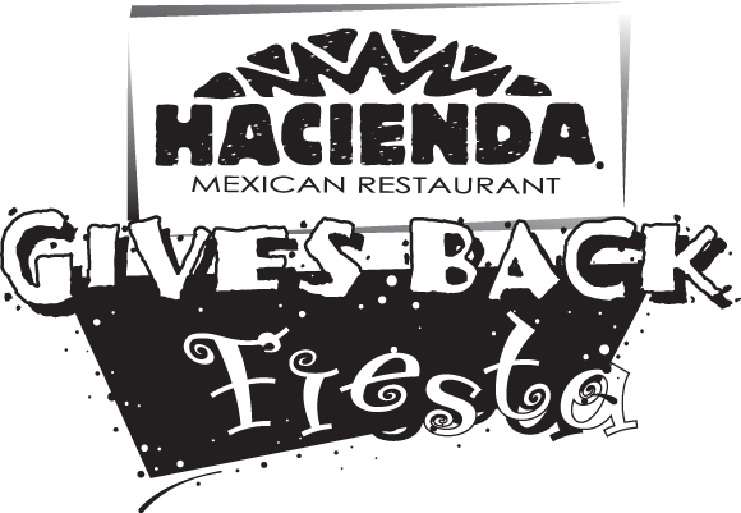 Vendor space (10 X 10 foot) available for $20 cash or checks made payable to INLHA. Funds will be donated to the Indiana Lincoln Highway Association and the Merrillville Preservation Commission. No fireworks or firearms. Everything gone by 6:00 pm. NE corner of Lincoln Highway and Gumwood Rd. in Marshall County. Blairwalk 2014 – Another big success! Blairwalk 2 was completed in May and raised over $12,000. 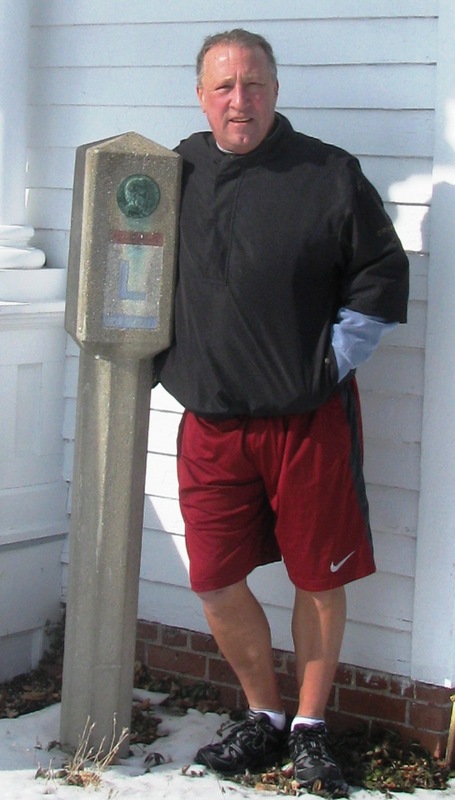 Jeff Blair, Indiana Lincoln Highway Association (INLHA) President, walked form Dyer, IN to the Ohio border (152 miles roughly) along the 1928 alignment of the Lincoln Highway to raise awareness and funds for both the INLHA and the Alzheimer’s Association. Jeff reported good weather for the most part and wonderful Hoosier hospitality in every way. He even went “national” being interviewed by Dave Nemo for Sirius radio one morning. This is Jeff’s second walk on the LH having completed the 171 mile walk along the original 1912 route of the LH in 2011. He wants to thank all of those who walked along with him, those who made donations for these causes, his wife for putting up with his shenanigans, and the many people who welcomed him into their businesses, museums, restaurants and hotels along the way. The INLHA offers a big thanks to Jeff for this wonderful project! Jeff is on the move – Blairwalk 2014 has begun! Jeff Blair has begun his walk across the Lincoln Highway in Indiana following the 1928 route. Today Jeff visited the St. John Township School District #2 (1853 to 1907) school house located at 1515 W. Lincoln Highway in Schererville, Indiana. 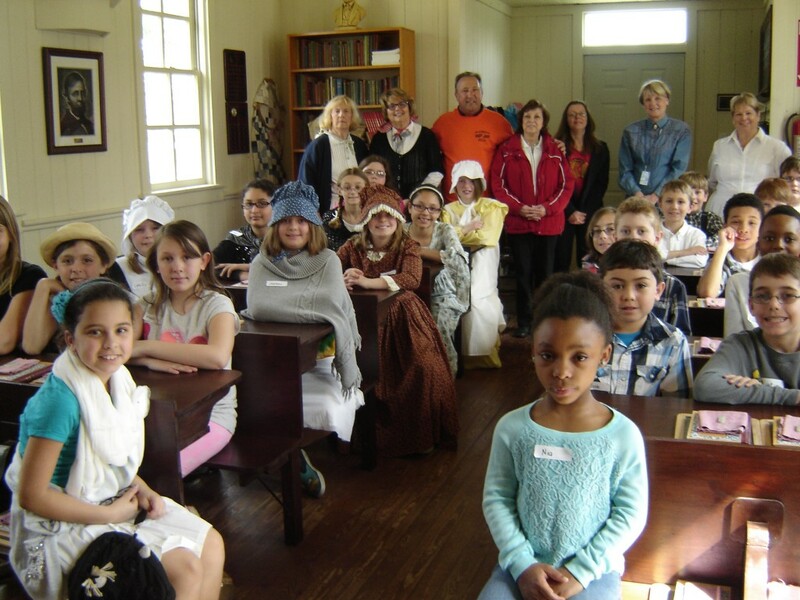 This one-room school house is currently used as an educational field trip for St. John Township fourth grade students. 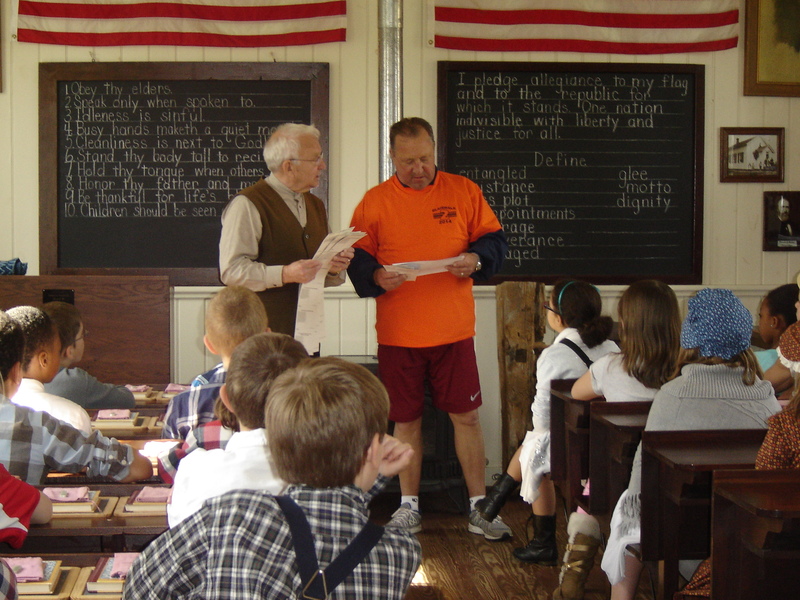 It is run by retired teachers, who wear period clothing, to demonstrate what life was like for students in the 1800s. 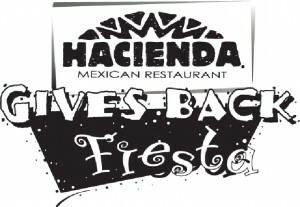 Hacienda Mexican Restaurant on Lincolnway West at Center St. in Mishawaka, IN will donate 20% of each purchase (dine in or carryout) made on April 8, 2014 to the Indiana Lincoln Highway Association for customers using the coupons below. 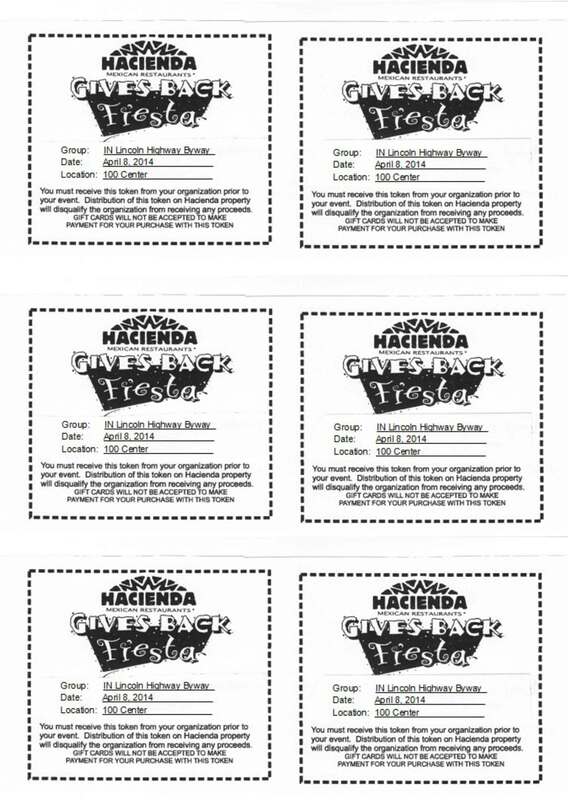 Feel free to copy and distribute the coupons beforehand as they will NOT be given out at Hacienda on April 8th. If you have questions or want to purchase gift cards, contact Judy Wood at 574-259-5137 574-259-5137. Jeff Blair, the President of the Indiana Lincoln Highway Association is walking across Indiana again. This time he is walking the 1928 route of Indiana Lincoln Highway. The purpose of the walk is to raise funds which will be divided equally between the Indiana Lincoln Highway Association and the Alzheimer’s Association. You can read more out it on our home page, where you can pledge and contribute via the PayPal link. 2014 holds an exciting opportunity for the Indiana Lincoln Highway Association (INLHA), but we need your assistance. 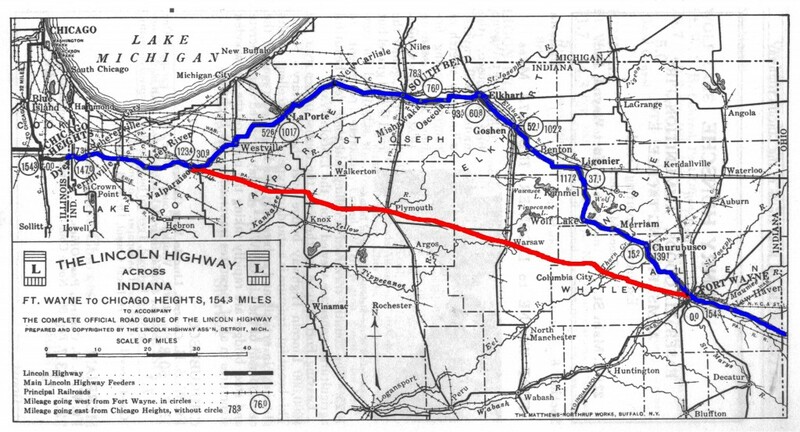 We have the really good fortune to have been awarded a $65,000 grant from the US Department of Transportation and administered through INDOT for the purpose of creating a Corridor Management Plan for our official BYWAY along both the 1913 and 1928 versions of the Lincoln Highway through Indiana. Here is where you come in…we need to provide 20% in matching funds in order to receive the grant funds, so we must raise $13,000 as soon as possible. We have over $6000 pledged thus far from our own treasury, INLHA member donations, a supporting Foundation, Convention and Visitor Bureaus, and cities. Thanks and Happy Holidays and New Year!